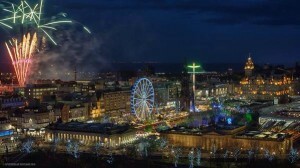 Talk of Old Town businesses joining together to compete with the undoubted power of those within the Essential Edinburgh BID especially at Christmas and New Year in my mind is to miss the point. What then about the West End, Stockbridge, Leith etc ? Surely the point should be that there is one concerted effort especially at these key times of the year to encourage people to visit all the places Edinburgh has to offer. A rethink is also needed as to whether those stalls/businesses allowed to trade in Edinburgh just at these key times actually bring in additional visitors or simply relieve them of monies that would have otherwise been spent with businesses trading 52 weeks a year. I can’t imagine many folk come to Edinburgh’s Royal Mile especially for the jewellery stalls ! Attractions are needed for sure and extra food stalls if organisers are sure surrounding businesses wouldn’t be able to cope but otherwise established shops should be benefiting from visitors. The tram works didn’t just affect the core of the city centre but all the city centre businesses as people just stopped coming into town completely. Now there is great emphasis understandably on getting people back to Princes Street but many have lost the habit of shopping further afield and youngsters who at one time would trail all around the wider city centre never even think to venture further. Surely it makes sense for areas not to compete with each other for visitors but work together. I do wonder with all those stalls in Princes Street Gardens why each area isn’t given its own stall to let people know that Edinburgh has far more to offer than what can be seen from Princes Street. Surely with the vast sums spent attracting people to Princes Street and St Andrew Square they aren’t afraid of a little competition !